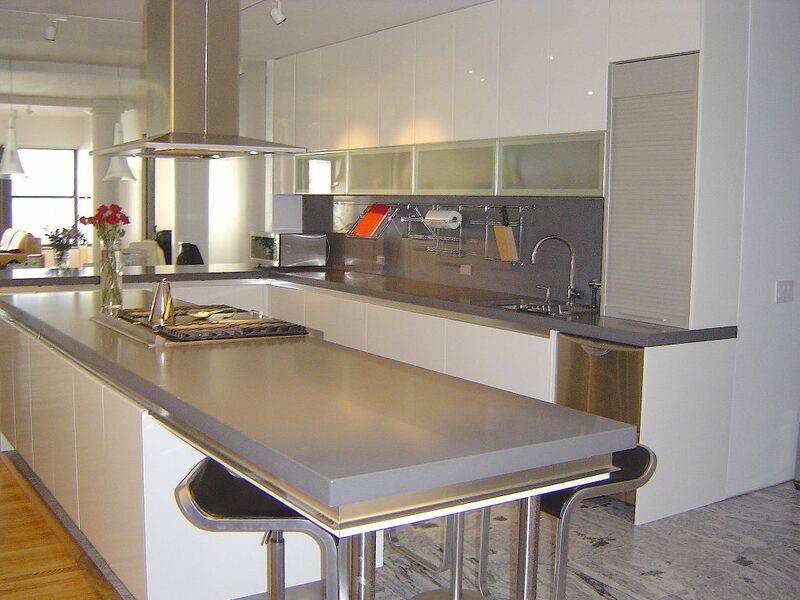 A beautiful European kitchen equipped with a 14-ft. island occupies 2500 square feet of this six thousand square ft. Chelsea loft. Walking off the private elevator into the vast expanse of this space transforms you to a world of glamour and luxury. 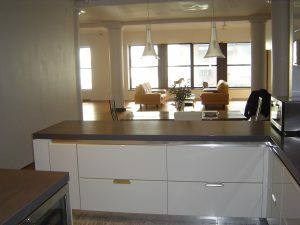 High gloss European white cabinetry extends 9-ft. high floor to ceiling. 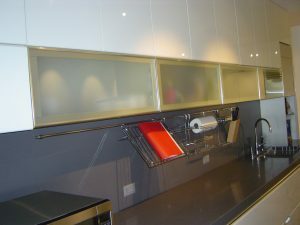 Touch sensitive upper cabinet and piston-driven aluminum and glass doors shimmer from the diffuse beams of track lighting. 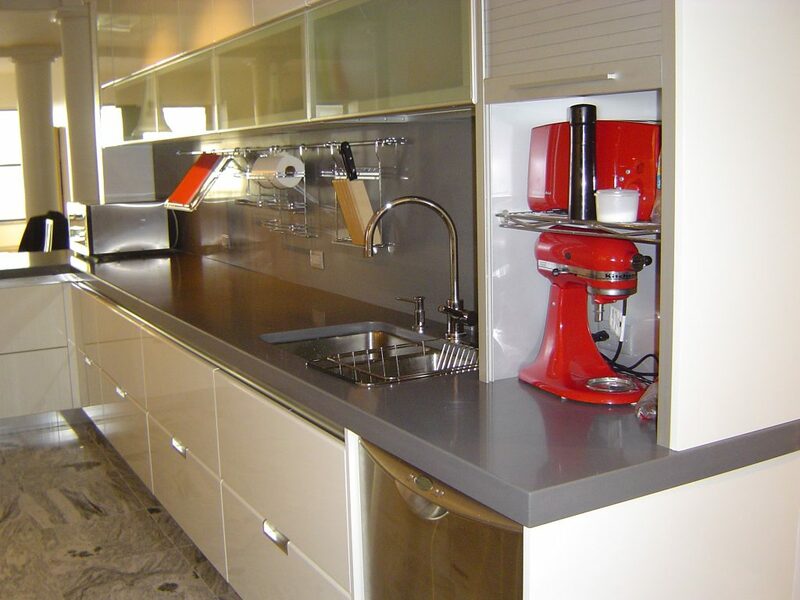 An aluminum garage door houses retro red Kitchen Aid appliances over a 2-inch gray granite countertop. 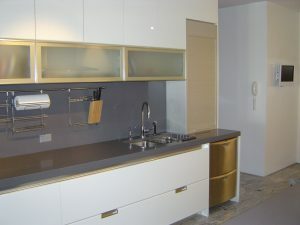 This 2-inch granite top encompasses a 16-ft. L-shaped base section with multiple two-drawer units, Hansgrohe fixtures, a Franke sink, and a Fischer-Paykel dishwasher. 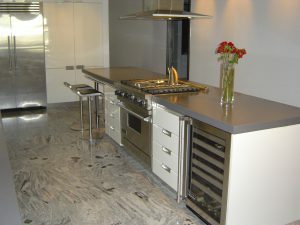 A large granite backsplash holds a display bar for cutleries and accessories. The 14-ft. long island is equipped with a 42-inch Viking range, cook top, and under counter wine refrigerator. The front of the island boasts storage for CDs, DVDs, and videos. 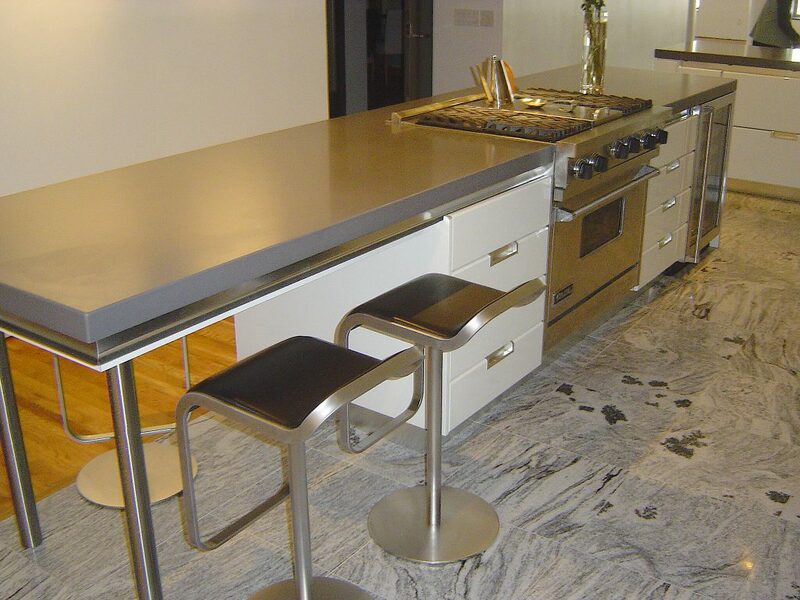 Two LEM Piston stools are nestled beneath an open extension of counter top. 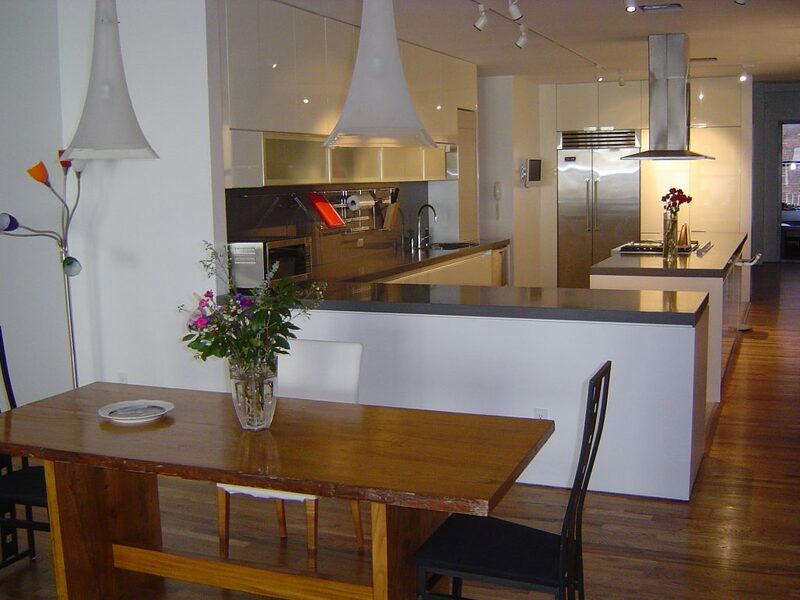 Directly above the range is a sleek stainless steel island hood. Slate gray tiles meet antique cherry furnishings and flooring. 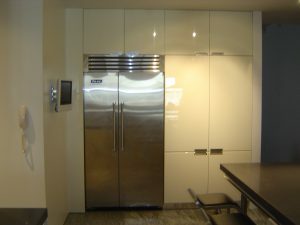 In the background on the rear wall, a 42-inch Viking refrigerator flanks a sparkling white lacquer pantry. Additional matching storage caps rest above both units while a small LCD television is mounted on the adjacent wall. Murano glass pendants hang in the foreground over an antique cherry dining table. 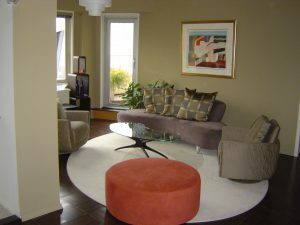 From the north view, two peach leather sofas are immersed in light. Go Top CALL US NOW!